Power and protection for movers and shakers. Tough off-road equipment needs tough lubricants. 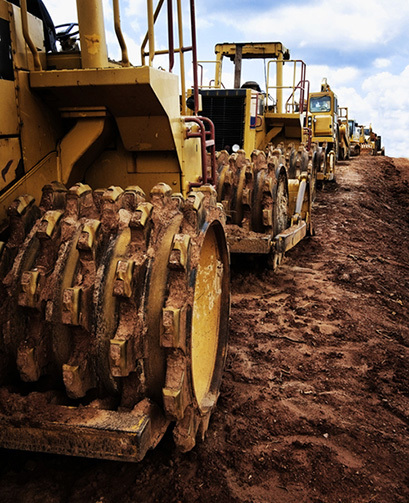 The fight to overcome dust contamination, massive weight loads and temperature extremes is critical - from the rock crusher to the gearbox. Inferior lubricants lack the stamina and perseverance for continuous, long-term protection. This adds up to lost production and increased downtime over the course of a year. Primrose's powerful class of premium lubricants are engineered for longevity and durability, no matter the conditions. Our extensive product line offers unparalleled performance for every component, from our exclusive Moly-D formulated Armor Plate products to full synthetics, summerizers, winterizers, seal savers, fuel additives and conditioners. Click the link below to see all Primrose products for the heavy duty off-road industry.